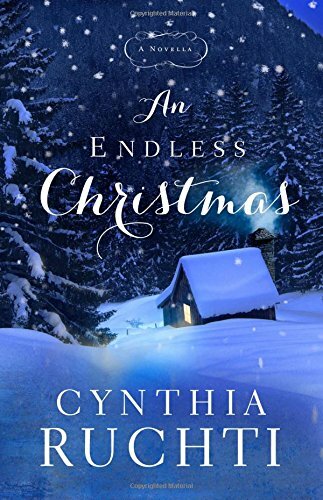 An Endless Christmas By Cynthia Ruchti is another wonderful novel from an author who never fails to warm me with her writing. Katie joins Micah for his family Christmas at his grandparents Wilson and Dodie Binder. The whole family is there. The ground is covered with snow. Good food is on the table. Christmas traditions abound. An Endless Christmas is not just a delightful, heart warming novel, it is so much more. It is love in action. Christ’s love as described in 1Corinthians:13 is worked out in the pages of this beautiful novel. Love is not just a warm fuzzy feeling, it is an action. Cynthia Ruchti shows within the pages of the novel, that for love to last, it must be worked at, preferably in partnership with God. Nothing flourishes without some effort being put in. Inextricably tied into the love theme, is that of family. The Binder family unit is strong. They have their own unique traditions and they support each other. Their love just overflows to include others, such as Katie. The theme of grace runs throughout the novel. Katie feels unworthy of receiving the Binder’s love. She does not realise that the love is freely given. She does not have to do anything to earn that love. Katie can be seen to represent mankind. We did nothing to earn the love of Jesus, we are not worthy but because of grace, Jesus freely gives us His love. An Endless Christmas has a delightful re-telling of the Christmas story from the point of view of the angels, as the young granddaughters write and re-enact it. I just loved their interpretation, and found it highly amusing. Within the novel is the emphasis to seize the day – or carpe diem – make every day count, make memories. We none of us know when our time is up, so love well and live well. Cynthia Ruchti raised the important issue of adoption from abroad. It was sensitively and tenderly done. All of the characters were realistic and loveable. I felt like I was reading about friends. There was a warmth and charm just oozing from them all, but particularly Wilson and Dodie as the grandparents. Once again, the novel ended far too soon. I felt bereft, but have been left with a warm, fuzzy feeling inside. Cynthia Ruchti has the power within her writing, to make me just want to leap inside the pages of her novel and live there. An Endless Christmas is just a perfect Christmas read. Give yourself a treat and buy it today.